The North Sinai Agricultural Development Project (NSADP) as proposed by the Egyptian Government envisages the reclamation of an estimated 400,000-feddan gross (415.2 thousand acres) of desert situated along the Mediterranean coast of Sinai. The project aims at increasing agricultural production through agricultural and stock development, improving income distribution, and generating employment through the settlement of smallholders and graduates from the over-populated rural areas of Egypt. 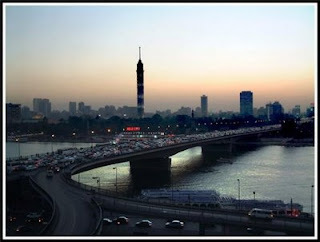 Al-Salam Canal is expected to add to Egypt's cultivable area 620,000 feddans (643.56 thousand acres). It extends 262 kilometers length-wise serving 220 thousand feddans (228.36 thousand acres) of reclaimed land west of the Canal (Phase I). Meanwhile, a reservoir has been built underneath the Suez Canal carrying Nile water to Sinai to serve 400 thousand feddans (415.2 thousand acres) (Phase II). Investments channeled into the project until 2005/06 are estimated at EGP5.7 billion. The area of land so far cultivated totals about 161.928 thousand feddans (161.928 thousand acres) west of the Canal and 273 thousand feddans (283.374 thousand acres) in Sinai. It was designed to pass 160m3/S of Al-Salam Canal at the west bank of Suez Canal at a length of 770 m.
Some water-lift stations were carried out such as: 3 stations on Al-Salam Canal on the west bank of Suez Canal, Al-Salam 4 station on Al-Shiekh Gabir Al-Sabbah Canal, and two other main stations on the south of East Qantara Canal. The railroad line's length reaches 225 km. from Ismailia/Al-Arish/Rafah and includes 13 stations. 6 stations were carried out which are: Al-Qantara East/Gilbana/Balooza/Romana/Negila/Beir Al-Abd. The cost of this line reaches LE 320 million from Al-Ferdan to Beir Al-Abd at a length of 100 km as a first phase, and 7 stations of 125 km as a second phase. Al-Ferdan Bridge is located on the north of Ismailia and is considered as the longest railroad in the world, as its length reaches 4 km. The bridge is located in the south of Al-Qantara East city at a length of 9 km, a wide of 20 m and a cost of LE 670 million. The gas line length reaches 193.5 km from the west bank of Suez Canal to Al-Sheikh Zweid at a cost of $ 192.5, and it was implemented at the end of 2000. The electrical lines were established to link Al-Qantara and Al-Arish (220 k), Al-Shat and Ras Al-Naqb (500 k), and the link was implemented on the united electricity network on 26/12/1998. Some fresh water projects were established in the south of Sinai to provide fresh water for the population compounds and tourist resorts in Sinai. These projects cost LE 390 million and ended in 2004 in 7 stations of fresh water in Sharm el-Sheikh, Dahab, Nwaibaa, and Taba. The energy of these stations is 25.000 m3 daily, and cost LE 280. A water line from Sharm el-Sheikh to the cities on Suez Canal was also established to cope with the tourist projects and urban developments in the south of Sinai. An integrated plan for developing Sinai was approved by the government in 2006. The goal: to promote industry and mining, to cultivate 400 feddans and to build 7 new factories with purpose of re-locating fresh graduates. Apart from hunting and pasturing, agriculture is the traditional occupation of the mainstream population of Sinai. The total cultivated area in the peninsula measures around 175 thousand feddans (181.65 thousand acres). The main crops are fruits, vegetables and cereals. Livestock consists mainly of camel, cattle, goats and water buffalos. Subterranean water: 80 million cubic meters are available for use/year. Natural wells: It allows the use of 3 - 80 cubic meters/hour. 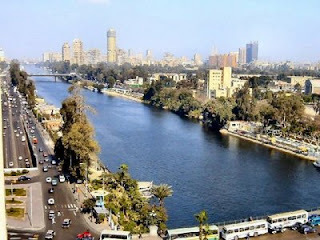 Al-Salam Canal: It brings water from the Damietta Branch of the Nile, under the Suez Canal to the Sinai Peninsula and aims at cultivating 400 thousand feddans (. Al-Defresoir reservoir: It aims at cultivating 77 thousand feddans (79.926 thousand acres) East of the Suez Canal. 250 thousand feddans (259.5 thousand acres) will be cultivated after projects at the Upper Nile regions are implemented. There is also the National Sinai Development Project: It aims at cultivating an additional 65 thousand feddans (67.47 thousand acres). It also seeks to extend pasturing land over an area of 300 thousand feddans (311.4 thousand acres). Lying in the extreme north eastern part of Egypt, Sinai is shaped like a triangle,bounded by the Gulf of Aqaba on the eastern side,and the Gulf of Suez on the western side. North of this triangle, the remaining part is a trapezium-shaped area bounded by the Mediterranean coast on the northern side, the demarcating line running between the capes of the Gulf of Aqaba and the Gulf of Suez on the southern Egypt's international borders with Israel on the east and Suez Canal on the west. Sinai Peninsula has an area of approximately 61,000 sq. km, accounting for about 6 % of Egypt's total area. Sinai's important geographical and strategic position has been the password and the decisive factor across history and so it is at present and will remain in the future. The Peninsula is surrounded by water masses on three sides:the Mediterranean on the north , with 160 km of coasts, the Gulf of Suez on the south west,with 240 km of coasts and the Gulf of Aqaba on the east and south east,with 150 km of coasts. Of the total length of Egypt's coasts, Sinai alone accounts for 30 %. Sinai is the land bridge between Asia and Africa and civilisations of the ancient world in the Nile Delta, Euphrates-Tigris Delta and Syria. Sinai is honourably mentioned in the Holy Quran and other Heavenly Scriptures.Prophet Abraham ( peace be upon him ) crossed it ;Prophet Moses lived and the stone tablets there and the Holy Family also crossed en route to the mainland. Entertainment Tourism in Sinai: it is the richest and more prevalent type of tourism in Sinai ... because of its natural resources, which is in turn the result of the richness of the environment of Sinai and its moderate weather, sandy and rocky beaches ... its water’s treasure which is represented in coral reefs , rare fish and other marine organisms .. In addition to, providing the infrastructure for this tourism, with its important locations in the areas of easy communication and transportation on the coast or near it… Entertainment tourism in Sinai is divided into two parts: coastal tourism and diving and sport tourism that includes water sports and resorts on the shores of the Aqaba bay. Coastal Tourism in Sinai: this type prevails in the coastal areas and it is characterized by soft sand shores alongside the coasts with no rocks and pure water... These characteristics are repeated in more than one location on the Mediterranean and the Gulf of Suez , where the Mediterranean coast extends from Baloza and Beaar Elsabaa westward to Rafah in the far eastern Sinai passing with Al-Areesh, Al Sheikh Zewayed and Bardawil Lake. This long beach is known for its white soft sand and its pure water. On Areeh, in particular, there are palm trees that spread along the shore and that is why it known as “Palm Beach”. The shores itself are known with the same soft white sand ,clear water and shallow depths of the long distances, besides the moderate climate throughout the year .. As well as, the proximity of the region from Cairo and other Egyptian cities, that makes it an appropriate place for tourism as well as One-day domestic flights. In Ras Sidr, in particular, there are many beautiful tourist villages and projects. Al-Toor shore is as much as beautiful as Ras Sidr especially in the “Palm Beach” .. One of the most beautiful tourist areas that combine the cultivation of palm and blockaded beaches between the pay water and the east mountain chain.. Moon Beach has a special nature beauty ... It extends into the water and has fine sandy beach. From there, you can take a panoramic look at the Al-Toor city in which there are several hotels. Diving Tourism: this kind of tourism is focused on eastern shore of Aqaba bay... It is a rocky beach in most areas... It is followed by a large water depth directly after the coast. This is the region of the most beautiful tourist areas in the world because of its wonderful treasures, mainly the coral reef areas... there are colored fish and warm water all over the year, it also has a magical nature both on the ground and under the water, and it is surrounded by thrilling natural areas like bays , warm springs, animals, birds, plants and various rare wild birds. The most prominent untapped tourist sites on the beach of the Aqaba bay are: Sharm el-Sheikh, Dahab , Nuweiba and Taba. “Servant Srabit” is an important destination for tourists interested in the sites of that time, there are a lot of tourists visit many citadels in Sinai ... the most notable place is Saladdin citadel on the Pharaoh Island near Taba, its maritime place attracted many tourists, in addition to simple transportation and accommodation …Many tourists are interested in visiting some other castles such as “Palm” castle , which lies on the international path Suez - Taba. Historical roads in Sinai are gaining additional importance ... On Horus road , parallel to the northern coast of Sinai on the Mediterranean... there are the most tourist sites visited by tourists especially in Bloziom(Afarama), and Alfolyat and Alkhuynat areas on Bardawil Lake and Areesh Castle in Al Areesh city and others. . Also, some of these roads have the same importance as a tourist path taken by the Holy Family to Egypt. Religious Tourism: Sinai is the land of spiritual background and which is mentioned in the heavenly books... It is the land of prophets ; Ibrahim (PBUH)passed by Sinai when he was heading for Egypt, he stayed a year then returned with his wife Sarah .. . Yacoub Yousef, peace be upon them, passed also by Sinai after being left by his brothers... Moses also came to Sinai and lived there and married the daughter of Shoaib… on its mountains, God honored him by talking to him in the sacred valley Taiwi .. They received the Sharia , then on its sacred soil, Moses and his brother Aaron died , the Holy Family also passed by Sinai.. Lady Mariam and Jesus Christ - to Egypt, the Holy Family after that returned back to Palestine through Sinai. Now, the religious tourism is concentrated in the St. Catherine and Wadi Ferrand basically where tens of thousands of tourists per year visit tourist sites in St. Catherine. Jebel Musa: at the top of it , there are small church and a mosque .. The tourists are keen to climb the mountain after midnight to reach the top before sunrise... Despite the hardship and difficulty of the journey, the sunrise scene is amazing and deserves every hardship and the surrounding mountain peaks appear as if it had been acquired red with the advent of the sun. Monastery of St. Catherine .. The monastery receives hundreds of tourists every day from around the world... To visit the Great Church and the Church of childhood and Fatimid mosque and monastery library and hundreds of unique icons, in addition to the mosaic that is matchless in the world. Prophets Saleh and Haroun Graves : at the entrance to the city of St. Catherine , there are the tombs of the Prophet Saleh and the tomb of Haroun, which are tourist religious attractions. Girls' Monastery: located in the Ferrand valley , it was built at the same time of St. Catherine Monastery , where Ferrand Oasis was a major centre of Christian monks in Sinai. There are approximately ten hotels and tourist villages to serve the tourism movement in St. Catherine. Pharaoh's Bath: it is located about a hundred kilometers from the Suez Canal Beach, it consists of 15 hot water springs , rising steam from these springs fill the cave carved in the mountain at the top of the seaside where the water temperature is between 55-75 degrees. Scientific tests have proved the possibility of using the mineral water in the healing of many diseases like chest, skin and some eye diseases. Nowadays, Sinai governorate has been initiated in establishing a healthy, integrated, global spa in this region includes hotels, yachts and places for entertainment, accommodation and treatment. Moussa's Bath: it is located about three kilometers north of the Al-Toour town... The water is flowing from five springs that pour into a bath in the shape of a basin surrounded by a building. This sulfate hot water (37 degrees) is used in the cure of many rheumatism and skin diseases. The governorate has given a great care to Moussa's Bath and the surrounding area to attract tourism. The 1973 October War opened the door to peace. It was also instrumental in regaining occupied lands. On March 26, 1979, a Peace Treaty was signed between Egypt and Israel which culminated in the libration of the whole of Sinai on April 25, 1982. Although the shift in the economy's swing in Egypt began in 1974, it was 1982 which marked a watershed in the country's modern economy. A real confrontation of the problems of economic development had kicked off. To have the dossier of war brought to a close triggered a rearrangement of national priorities, the goal of which changed from the liberation of land since the 1967 setback to rebuilding the society and improving the people's standard of living since 1982. Within the framework of the national plan to rebuild Sinai which will continue till the year 2017, the link process was completed by establishing two bridges on the Suez Canal: the suspension bridge in the south of Qantara, and the moving bridge of Al-Ferdan for railroad, in addition to extending the railroad between Isamilia and Rafah at a length of 217 km. Now that it has returned to Egypt's embrace, Sinai has become an incarnation of the triumph of the call and peace. The coastal resort city of Sharm al-Sheikh has been named twice by UNESCO as the City of Peace in 2000 and 2001. It has also occupied first place as the best tourist site on the Red Sea. On April 25, 1982, President Mubarak raised high the Egyptian flag over Sinai after Egypt restored it from the Israeli occupier. This was the last scene in a long series of Egyptian-Israeli conflict which ended with restoring the Egyptian lands after a sweeping victory of the Egyptian policy and the military. Few days after 1967 defeat, steadfastness stage began and it lasted till September 1968. This stage witnessed Ras el-Esh battles and the destruction of Eilat. Then the stage of attrition war began which lasted till March 1969 where the Egyptian forces made acts of sabotage to prevent the enemies' forces from strengthening their defenses along the eastern bank of the Suez Canal. September 1968 witnessed the famous guns' battle where our forces used to shell the enemies' forces along the eastern bank of the Suez Canal. Confrontations were mounting day after day and the Israeli Air Forces intervened effectively after the Egyptian artillery continued its shelling of the Israeli outposts. At the end of 1968, our war planes began to limit Israel's air activities along the frontline. In March 1969, combats developed and the rounds of crossing to the eastern bank of the canal increased. Our forces launched a long-term war against the Israeli forces to exhaust its resources after the losses in their equipment and individuals increased. Heroism scenes continued till 1973 which was crowned with 1973 October War where more than 220 war planes crossed the Suez Canal at 2 PM and targeted radar stations, air defense batteries, armors, tanks, artillery, the strongholds of Barlif Line, oil refineries and ammunition stores. At the same time, the Egyptian artillery turned the eastern coast of the Suez Canal into hell where 10,500 missiles fell on the Israeli outposts in the first minute of the start of the attack by a ratio of 175 missiles per second. Ground troops began to storm into the Suez Canal, using more than 1000 rubber boats. 8000 soldiers crossed the eastern bank of the Suez Canal and began to jump over the high dusty barrier. By so doing, Egypt terminated the so-called invincible army of Israel given that it seized the eastern bank of the Suez Canal within few hours. The most important result of the war is Egypt's full sovereignty over Suez Canal and the return of navigation in the canal in June 1975. The liberation war led to: - The change of military strategies all over the world and it had an effect on the future of many weapons and equipment. - October war restored the confidence of the Egyptian fighter and the army.- It realized the comprehensive Arab unity in the full sense of the word. - It made the Arabs an international power which enjoys weight on the international arena.- The steadfastness of the Egyptian will and the collapse of the Israeli legendary. The war also paved the way before Camp David Agreement in September 1978 based on the historical visit of late President Sadat to Jerusalem in November 1977. The political negotiations were the second stage after liberating the land, as the USA and the member states in the UN Security Council intervened and released decree no. 338 which stipalated on stopping all war actions starting from October, 22, 1973. Egypt accepted the decree and executed it starting from the same day, but the Israeli forces broke the ceasefire, so the Security Council released another decree on October 23, which obliged all the parties to carry out the ceasefire. After executing the decree, Israel realized that it lost the war and that the Egyptian army was steadfast to the locations snatched from the Israelis hands. Soon after, Israel accepted to hold political negotiations to make reconciliation, so the battles stopped on October 28, 1973 when the international emergency forces arrived in Sinai which finally gained its liberation by hardly achieving peace. Finally, the Egyptian-Israeli peace agreement led to a complete Israeli withdrawal from Sinai, and returning the Egyptian sovereignty on it. Sinai was liberated from the Israeli occupation in 1982 and liberation was completed when President Mubarak raised high the Egyptian flag on Taba, being the last part of the Egyptian lands to be liberated in 1988. Egypt liberated its lands occupied in 1967 war by all means of struggle whether the armed one as seen in the war of attrition and the 1973 October War or the political and diplomatic action which started with the strenuous negotiations for forces' separation in 1974 and 1975 then the Camp David talks which resulted in laying down peace frame in the Middle East (Camp David Agreements in 1978) which was followed by Egyptian-Israeli Peace Treaty in the 1979. Since Sinai liberation 26 years ago, Sinai has topped the agenda of the homeland till it becomes a symbol for peace and development. No doubt, the peninsula of Sinai enjoys a distinguished status in the heart of every Egyptian. Sinai serves as the deep-rooted history made by the Egyptians and their sacrifices to protect this land, being the eastern gate of Egypt. Given its tourist, mineral, industrial and agricultural resources, Sinai is one of the pillars of Egypt's ambitious strategy toward getting out of the narrow valley around the River Nile to a vast area which equals 25% of Egypt's area. In addition, Sinai is part of the Suez Canal region which includes a number of the mega projects in Egypt in West of Suez Gulf, Ain Sukhna and East of Port Said. For many, the scope of Egypt's history is difficult to comprehend. Its history covers some five thousand years, and encompasses the origin of civilization, the rise of the Greeks and Romans, the establishment of the Jewish, Christian and Islamic religions, the colonial era when first France and then the English ruled the country, and finally, a return to independence. Egypt has played an important role through all of these eras, and today one can find monuments that evidence Egypt's role in most of the world's historic events, from the beginning of mankind until the present. More and more, we are not only learning about the history of mankind in Egypt, but also about his prehistory, the way that he migrated and finally began to organize communities that eventually lead to a civilized world. In Egypt, we find the earliest detailed records of warfare recorded thousands of years ago, but we also find the cemeteries and monuments of the world's last global war, World War II. In Egypt, we find some of the first written words of civilization, but we also find great thinkers and writers through the Greek period, into the Christian era, the archaic Islamic period and even modern Nobel Literates. In Egypt, we find ancient pyramids and giant columns supporting massive temples, but we can now find these architectural elements spread throughout the world. Here, along with the first monumental buildings made of stone, we also find the first paved roads, the first wines and beer and even the first peace treaties between organized governments. However, we also find the world's first scientists, doctors, architects and mathematicians. Egypt is our window to humanity's distant past and in understanding its history, we find both mankind's greatest glories and achievements, as well as his often repeated mistakes. We may follow along with the building of empires, only to see them collapse again and again. We find great men and rulers of renowned, but we often also see their ultimate demise. And here, we learn about religion, its evolution and, as the world grows older, its replacement with newer religions. Yet, the ancient Egyptian religion has never really completely died out. Even today, many Egyptians continue customs, including some aspects of religion, held over from thousands of years ago. In fact, throughout the world, aspects of the ancient Egyptian religion, particularly funerary, continue to effect our modern lives. We hope you enjoy our efforts to bring Egyptian history and its monuments to your fingertips. Here one will find just about every aspect of ancient Egypt, from culture to people, from monuments to knowledge. Take the time to understand ancient Egyptian history, and we feel certain you will find, within this knowledge, a better understanding of this modern world in which we live. 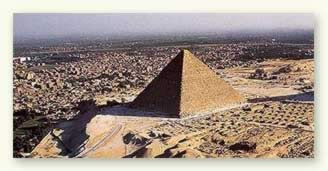 The more than 3000 year long history of Ancient Egypt has been divided into 8 or 9 periods, sometimes called Kingdoms. This modern-day division is somewhat arbitrarily based on the country's unity and wealth and the power of the central government. The Ancient Egyptians themselves did not group their rulers according to such criteria. They rather seem to have developed the notion of dynasties throughout their history. The Palermo Stone simply lists the kings one after the other, without any apparent need of grouping them. The Turin Kinglist, which is more recent, has grouped the kings according to their descendance or origin. Thus, Amenemhat I and his descendants, are described as the kings of Itj-Tawi, the capital whence they ruled. We owe the division into 30 dynasties as we use it now to Manetho, an Egyptian priest who lived at the beginning of the Ptolemaic Era. In many cases, however, it is not clear why Manetho has grouped some kings into one dynasty and other kings into another. The 18th Dynasty, for instance, starts with Ahmose, a brother of the last king in Manetho's 17th Dynasty. Theoritically, Ahmose and Kamose should thus have been grouped in the same dynasty. Thutmosis I, on the other hand, does not appear to have been related to his predecessor, Amenhotep I, but still both kings are grouped in the 18th Dynasty. Some Egyptologists have attempted to abandon the notions of Kingdoms and dynasties, but for the sake of conformity with most publications dealing with Ancient Egypt, this site will continue using both notions. Visitors may, however, notice that the timeline below and the timescale used throughout The Ancient Egypt Site may be somewhat different from some of the other books or web-sites they have consulted. Visitors should also be aware that, as is the case with any publication dealing with Ancient Egypt, dates are approximations and should not be taken literally. In many cases it is not known just how long a king may have ruled. Comparing different publications on the hisory and chronology of Ancient Egypt, visitors may notice that one king may be credited with a fairly short reign in one publication and a fairly long in another. This impacts the absolute chronology, that is to say, Egyptian history using our year numbering. In The Ancient Egypt Site, some dates will be proposed but again, they should only be seen as approximations and not as absolutes. A discussion on the length of the reign of a king may follow and this discussion may show the likelihood that this king reigned longer or shorter than the dates linked to his reign. It can thus not be stressed enough that the provided dates are just a frame of reference helping readers to gain insight in the sequence of events and occurences and to have an approximate idea of the age of certain monuments and artefacts. Egypt has always been a popular destination of tourism worldwide. 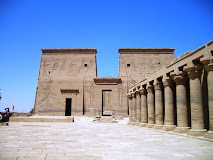 It is not only the pyramids that make this country a major tourism spot beside of this Egypt has numerous temples and monuments that are among the ancient remains of the great Egyptian civilization. Tourism is vital for any country's progress and it covers many elements like transportation, accommodation and the hospitality industry of a country beside of its tourist attractions. Tourism in Egypt is the main stay and strong pillar of Egypt economy as tourism contribute about 25% of total country's income.Egypt home of one of the oldest civilizations of the world contain much more than just pyramids and temples. The Red Sea scuba diving, desert safaris, luxury hotels and five star restaurants, well known shopping destinations and many other similar attractions are the high point of Egypt tourism. More investment in tourism sector resulted in the establishment of wonderful Yacht marina resorts, hotel facilities and better transportation service. Egypt tourism satisfies different ambition of tourists such as therapeutic, conferences, exhibitions, sports etc. 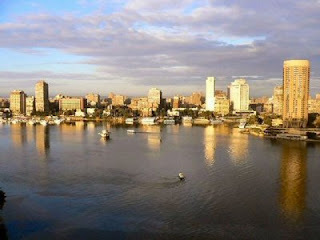 One can also enjoy Nile cruisers and live abroad Red Sea boats as a part of Egypt tour. Beside these Egypt is also considered to be one of the richest therapeutic centers because of its abundance natural resources. 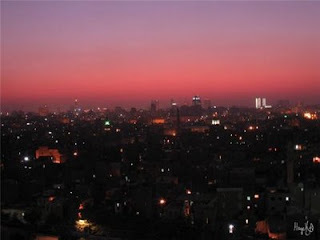 Cairo is the main center of transport facilities in Egypt and is well linked to all cities of Egypt. Egypt Air provides domestic services for getting around in Egypt. For water transport Suez Canal is the major way linking Mediterranean Sea and Red Sea. Providing good quality accommodation facilities to tourist is one of the main features of tourism. 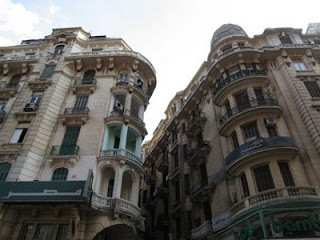 Hotels in Egypt are located near the tourist attractions. Egypt hotels feature spacious guest rooms along with other leisure activities. Not only this five star hotels in Egypt also make arrangements for airport transfers and pick-ups as well tour packages for nearby attractions.